One Congress Plaza is a skyscraper in Downtown Austin, the state capital of Texas in the United States. Standing 390 feet (119 meters) tall and containing 30 floors, standing as the eighth tallest building in Austin. One famous feature of the building has been its sunken plaza, which includes trees and park benches, as well as the location for the AMOA Art Show. 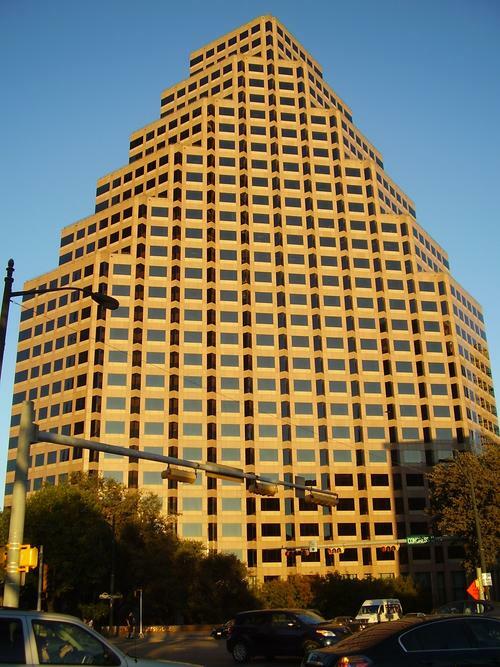 Built in 1987, the building was one of the skyscrapers built during the 70s and 80s boom Austin had at the time, and still is one of Austin's most famous buildings. Norwest Plaza, and Franklin Federal Plaza have been other names for One Congress Plaza. One Congress Plaza stair-steps back from Congress Avenue as part of a 1931 height restriction. 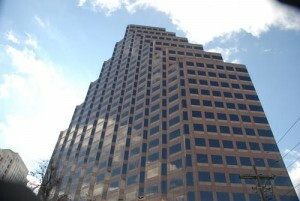 One Congress Plaza has 548,823 square feet of space and is one of Austin's waterfront skyscrapers. Skyscrapers by Susman Tisdale Gayle Architects, Inc.